As a faculty, we have been using a formal approach to vocabulary learning for three years. Students have a homework booklet for each term, which includes key grammar, vocabulary lists and written homework. Vocabulary learning is set as a homework bi-weekly at Key Stage Three and weekly at Key Stage Four. There are practice columns in the booklets, which students show as evidence that they have spent some time actively learning the vocabulary. Students are required to spend at least 30 minutes learning these words. Students who do not perform at the expected level must resit the test a few days later. However, among our students there is a significant group that perform just satisfactorily on each occasion. These students are predominantly boys and are largely students from disadvantaged backgrounds. Do we want to assess how well students retain vocabulary, which is linked to the topic currently being studied in class? Are our boys and disadvantaged students relying on this classroom based learning and doing very little or no home study? How can we make vocabulary learning more appealing to students who have no intrinsic motivation for this type of task and (possibly) no support at home to ensure the learning takes place? After some discussion with the rest of the faculty, we decided to trial a few different strategies. We set up a colour coded vocabulary tracking sheet linked to students’ target grades and expected levels of achievement in vocabulary tests. We began to interleave vocabulary learning in class, using “Jeopardy” games to revisit older vocabulary alongside new vocabulary. We used the “Flipped”learning technique, setting vocabulary in advance of the topic being covered in class. We set up all our vocabulary lists (all year groups / both languages) on Quizlet.com so students could undertake more interactive learning homework. The link was pasted into Show My Homework as a reminder that this was the best way to revise. During Term 1 the vocabulary tracker was set up for all year groups and after a month we were able to review the data to identify patterns across year groups and in individual classes. It soon reinforced our suspicions that some of our students were “coasting” and performing just above the pass mark level for their ability, when as these targets were personalised there was no reason why each student should not have been able to be colour coded green each week. A large percentage of students in the amber category were boys and / or disadvantaged students. Whilst the students might have been perfectly happy with this result, because the RAG colour coding was personalised to the child’s target we were able to reiterate our expectations that students should be aiming for green and amber was not enough. Sharing the RAG rating after each vocabulary test helped to motivate some learners (though not all). It also made it easier for the class teacher to track individual and sub group performance over time. This fed into our raising attainment program and helped us set specific targets for students below target. The interleaving approach worked well in the classroom and helped, especially to prepare students for end of unit summative assessments. 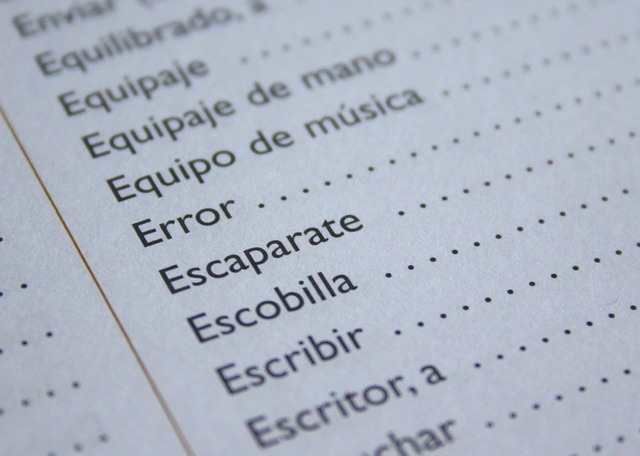 Students experienced more success when the questions tested comprehension of the target language phrase rather than being able to recall the phrase in the target language itself. This again indicated that for some students vocabulary knowledge was not fully embedded. Whilst completing these in class activities, students were required to keep a record of words they still did know well which served as a comprehension revision list for the forthcoming assessment. Later approaches to the Jeopardy game relied predominantly on testing the target language rather than just comprehension as a result. During term 2, after a few months of trialling interleaving vocabulary on a monthly program, students seem to both enjoy and value the challenge of recalling older vocabulary. They see it as especially useful when they were able to identify the gaps in their vocabulary and use this to make assessment preparation more effective. However, this worked best for those students who were already conscientious and well-motivated and it did not necessary engage those students who we hoped that this process would impact upon most. These students of course benefit to an extent in revisiting the vocabulary, which is something which they probably would not have done themselves, nonetheless the impact is limited if the learning is limited to class time once again. It was particularly eye opening when we began to trial the “Flipped learning” approach in term 3. Year 10 students were set vocabulary learning which had not yet been covered in class, therefore their knowledge was solely dependent on them having invested time in learning the words which they had not previously encountered. This meant that gaps between those that do learning homework and those that do not widened further still, which was worrying but useful to be able to easily identify those students who clearly were not completing the work, which had not been set. One thing, which I found essential to this process, was not to test this vocabulary in isolation, for those less well-motivated students there has to be a point in learning. They will not just obediently learn for learning’s sake even if this has an impact on their test score and will eventually have an impact of their reading and writing score. As such, I found it essential to provide activities in lesson, which included the vocabulary from the weekly list. If they had revised, they were more able to access the work, contribute to class discussion, feel a sense of achievement and therefore the circle is complete. It raised the question for these students whether, verbal praise and in class recognition is more valuable to them than merely a test score. In term 3, we trialled the use of Quizlet in a much more strategic way. We had used this in the past predominantly with Key Stage Four but we recognised that the reason some students might not engage with vocabulary learning, is that it is inherently boring. I took each of my classes to the computer room to introduce them to its benefits. They enjoyed the variety of auditory and visual activities it has to offer and they were surprised by how quickly it enabled them to retain new vocabulary. In addition, they liked the competitive, short-term reward nature of the tasks. From this point, when learning home works were set, the link to the appropriate list in Quizlet was included in Show My Homework. The vocabulary tracker has been a useful tool to see if there has been any impact on the target group of students (boys and disadvantaged). The use of the vocabulary tracker has been useful for us to be able to pinpoint where the issues exist, as opposed to it to be an instinctive feeling. The use of interleaving is useful for long- term retention of information, this is an approach which we will continue to use. This method certainly served the students well in terms of a formative assessment of their skills to guide their revision before a summative assessment. This is also a useful technique to adopt for G.C.S.E. classes with a terminal examination as they need to retain vocabulary over a longer period of time for use at the end of Year 11. Developing a bank of Jeopardy / Kahoot exercises, which serve this purpose, will be a priority for next year. These could also be set as homework activities. The Flipped learning idea needs to be built upon if it is to have greater impact, in the trial it merely served to show that students, who we suspected were not doing learning home works, were definitely not. If it is to be more effective, greater accountability needs to secured through close monitoring and increased retesting and contact home. This can be achieved by managing learning through Quizlet classes where you can monitor how much time students spend and success rates of learners in your classes. This could ultimately do away with the use of class time for vocabulary testing. However, whether students could be relied upon to do these activities under test conditions with no supporting resources would need further consideration. In short, the various strategies that I trialled have increased our efficiency in setting and monitoring vocabulary learning but none of these strategies has had the desired effect on the levels of attainment of the target group (boys and disadvantaged). Individuals have improved as a result but there has not been a radical change in the progress of the majority. “I agree that it has not impacted upon students who regularly do not revise and just got a pass grade relying on what they learnt in lessons. However, even if it has not had the impact desired on disadvantaged students and boys, it has impacted very positively on the rest of the students, in particular on the hard working GCSE pupils who now can move ahead and using the flipped learning technique, learn the topics beforehand at a time when it suits them, like half terms and holidays”.